VISITORS to Swiss-Garden Golf Resort & Spa Damai Laut in Perak can now savour authentic royal Thai cuisine at its Thai Taste Restaurant. This special spread is presented by chef Virat Kanjan and her team members chef Virai and chef Darika, who were brought in by the resort. 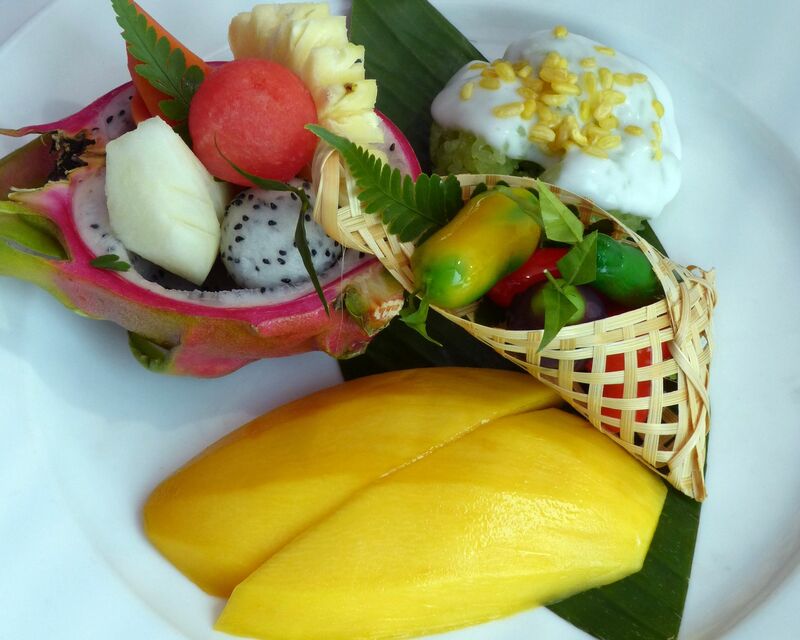 What’s the difference between Thai cuisine and royal Thai cuisine? Virat explained: “Royal Thai cuisine emphasises the use of fresh ingredients and cooking from scratch, regardless of how long it takes to prepare a dish. Born and raised in Bangkok, Virat started working with a hotel group where she was given the opportunity to learn from Thailand’s royal family chefs. She has more than 31 years of experience in the hospitality industry and has worked in Europe, Australia, the UAE, India and Singapore. Virat’s passion is evident in the exquisite dishes she creates with Thai herbs and spices imported from Thailand. One of her signature dishes is Tom Yam Thalay, a clear spicy seafood soup made from prawn shell stock and simmered with galingale, chilli, kaffir lime leaves and lemongrass for over two hours. Her creative flair can be seen in Look Choop (pic), which is made from mung beans, coconut milk and a hint of jasmine. It is a dessert served at the palace. Virat attributes her culinary success to her love for Thai culture, precision in the kitchen and her team members Virai, who is her twin sister, and Darika. Like her, they wish to spread this inimitable cuisine to people around the world. For reservation, call 05-684 3333.